Is a LifePlan For Me? HOW DO I KNOW IF A LIFEPLAN IS FOR ME? I feel restless in my life and feel it might be times for some change. I want to get unstuck. My future seems blurred and I need clarity. I need guidance for the next steps in my life and work. I want to experience the next level of impact in my life. I am in a time of transition. I need a kick in the pants. WHAT ARE THE BENEFITS OF A LIFEPLAN? WHAT WILL YOU GET WITH A LIFEPLAN? 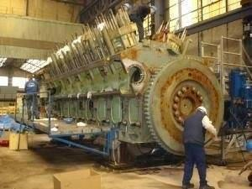 A ship engine failed, no one could fix it. Then they brought in a man with 40 yrs. on the job. He inspected the engine carefully, top to bottom. After looking things over, the guy reached into his bag and pulled out a small hammer. He gently tapped something. Instantly, the engine lurched into life. The engine was fixed!